The world's final telegram sent by India's state-run telecommunications company, the Christian Science Monitor reported. The July 14 stop date will be over 160 years after Samuel Morse sent the first telegram in the U.S. in 1844. Bharat Sanchar Nigam Limited is losing more than $23 million a year by keeping telegraph services running, the company's general manager of telegraph services told The Christian Science Monitor. 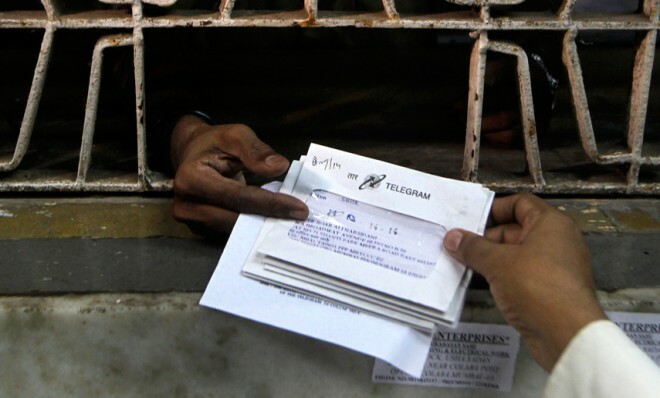 Only about 5,000 telegrams are sent a day in India, a country with a population of 1.24 billion. About 65 percent of India's telegrams are sent by the government, according to The Monitor. With the rise of computers and telephones, even the U.S. Postal Service has struggled immensely, so it's surprising that an old-fashioned technology like the telegraph has lasted this long. In March, the U.S. Post Office announced that it had lost $1.9 billion in the previous 3 months. 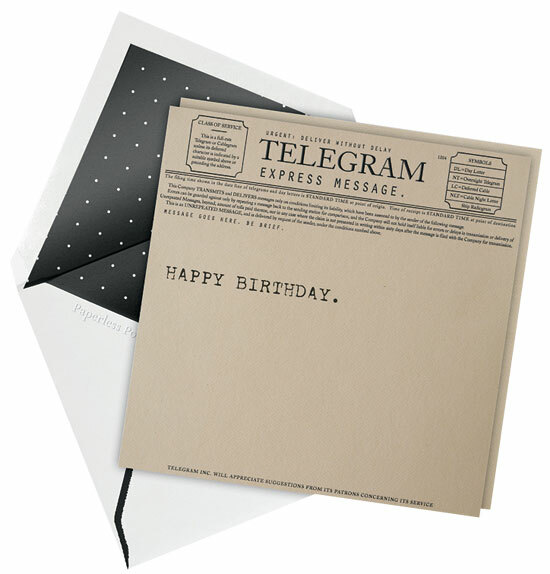 Western Union sent the last telegram in the U.S. back in 2006, 150 years after the company was founded. Samuel Morse's first telegram read “WHAT HATH GOD WROUGHT?” and was sent from the U.S. Supreme Court. India Marks End of Era with Last Telegram and the last iconic telegram in the capital was sent to Congress Vice President Rahul Gandhi.